One day, I woke up only find out that I’d become a Demon Lord, an individual responsible for protecting a dungeon. The world I’d been spirited away to was one filled with violence. Gigantic monsters wandered through it and competed with each other each and every day for the right to survive. I had no choice but to strengthen my dungeon’s defenses in hopes of living another day—or at least that was what I’d thought. For some odd reason, I instead ended up spending my days in relaxation and bliss. This is my, Yuki’s story. It tells the tale of how I spent my days after settling down in a dungeon with a self indulgent, “supreme” dragon girl and a young vampire. So of course personally I just want more fluffly slice-of-life light novels, but I'll go further. Obviously the big title this will seem similar to is Lazy Dungeon Master. This one even shares the concepts of a dungeon core that must be protected or the MC dies (though the core itself isn't human) and being able to acquire and spend Dungeon Points (DP) on a variety of things, including stuff from the modern world such as chocolate bars. 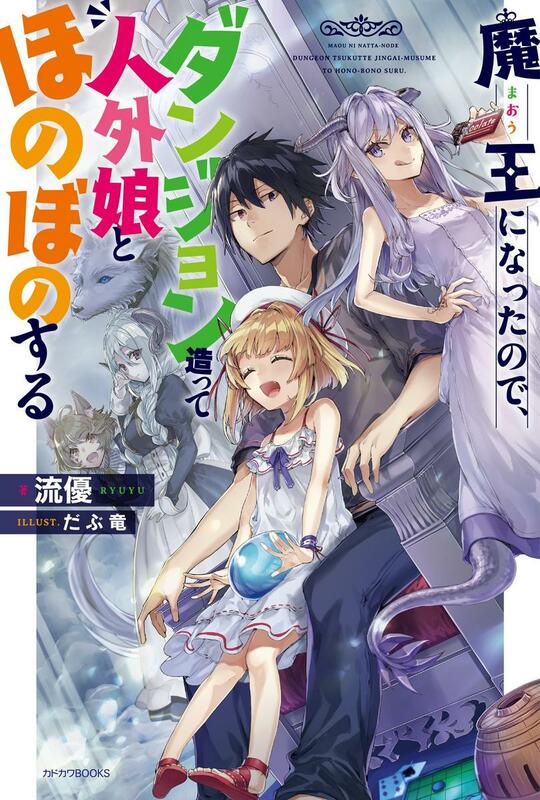 Of course, if you can't tell by the synopsis, this one differs by ultimately ending up as a fluffy slice-of-life where the MC mostly just goofs off, testing his OP power, making various things and playing with his fellow dungeon inhabitants. There are a few parts here and there where he actually goes to take care of (read: brutally slaughter) those who threaten his dungeon or his harem, but for the most part it's pretty much what the title says. Anyone expecting something like the "dungeon battles" in LDM should look elsewhere. Even without dungeon battles, it's still rather enjoyable, though. The girls are full of character and the MC's interactions with them, particularly the "supreme dragon" Lefi, are great. Overall it's a nice slice-of-life novel that I'd like to see more of on JNC.